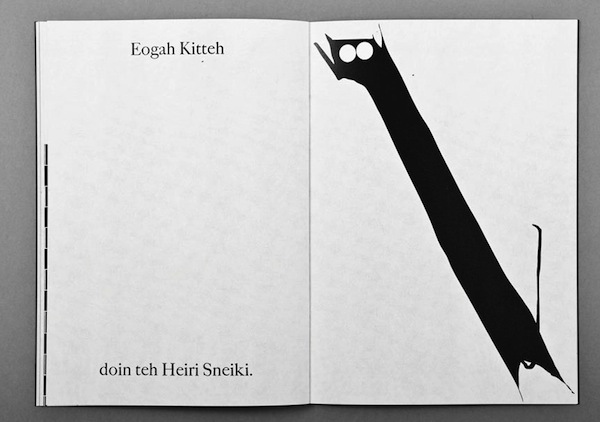 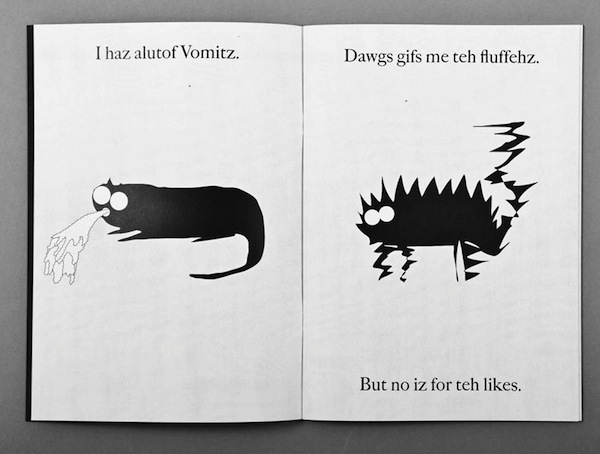 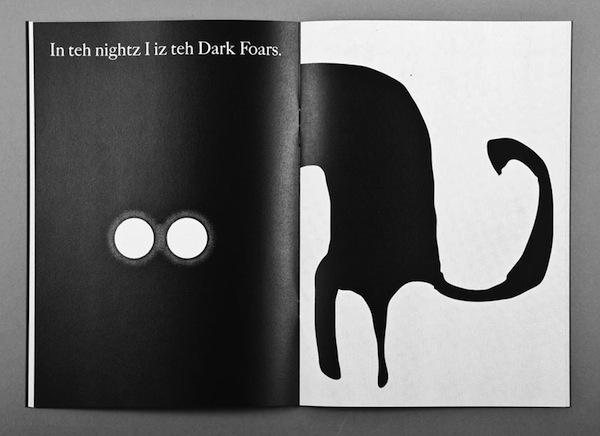 Graphic designer Mirko Borsche, together with illustrator Moritz Wiegand and publisher Sabine Magnet, created a piece of print as a homage to the internet phenomenon, LOLCats. 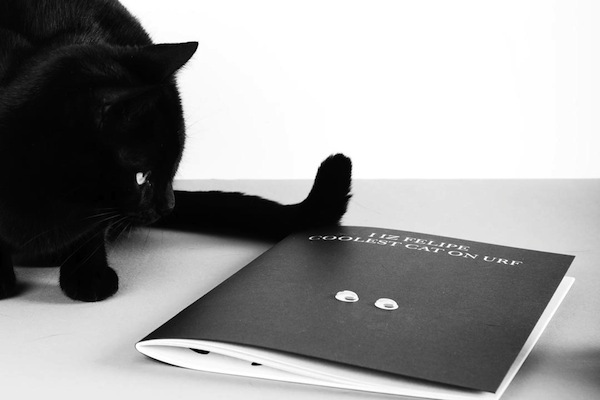 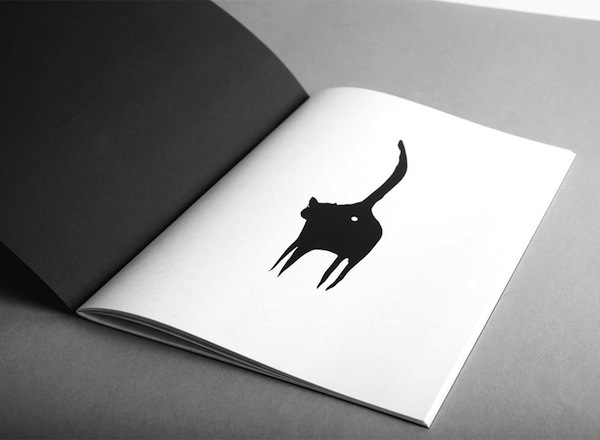 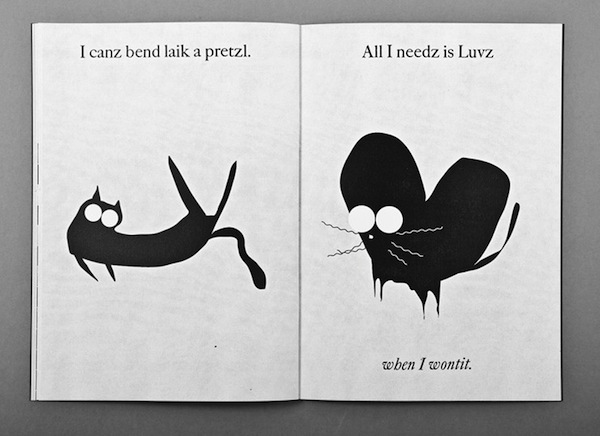 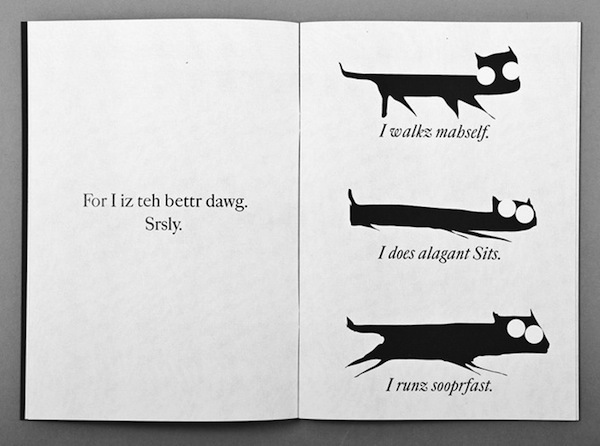 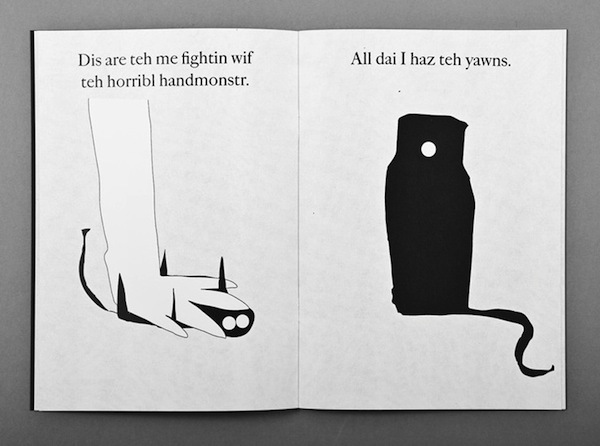 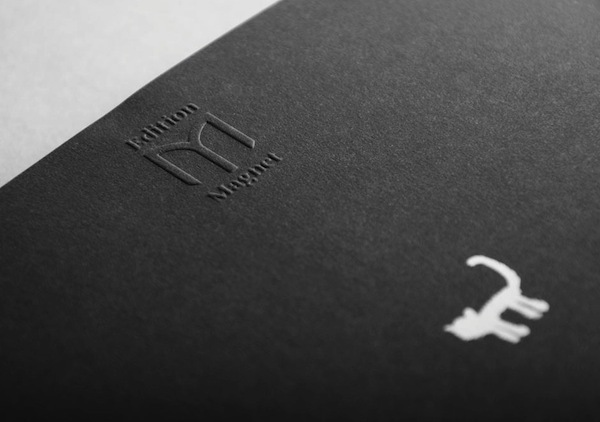 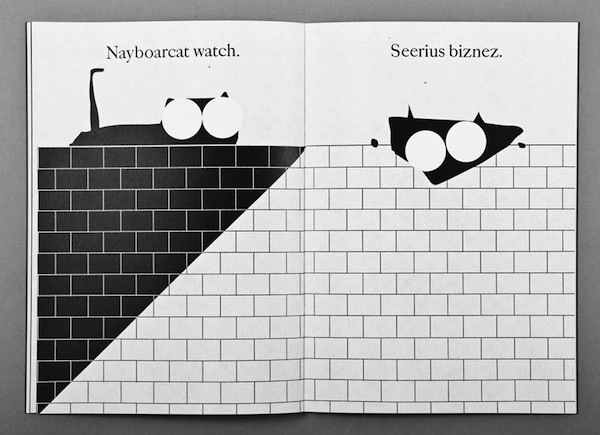 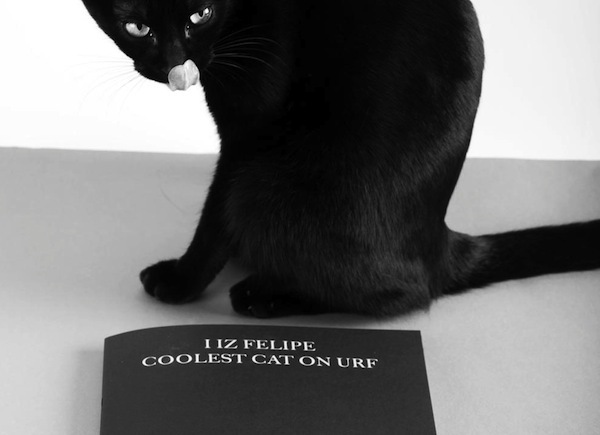 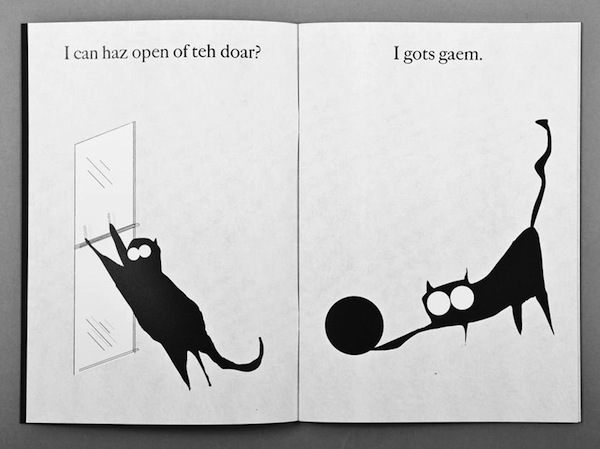 Entitled ‘I Iz Felipe’, the print is a story of the self-proclaimed “coolest cat on urf (earth)” that features the everyday musings of cats in black-and-white, minimalistic illustrations paired with LOLCats-style phrases. 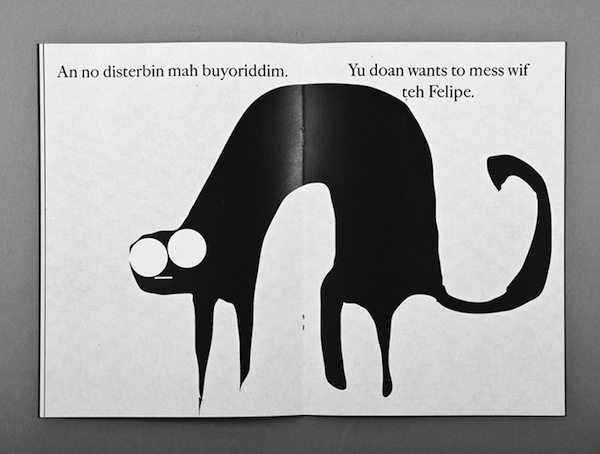 Though it’s completely useless, I Iz Felipe could make for a interesting gag gift for a cat-loving friend.